Pasta and noodles are staple food in several nations, for example, South Korea, Japan, North Korea, and China. This is among the key factors behind the rise in demand in global pasta and noodles market. Many European nations as well consume pasta and noodle on regular basis, which contributes in the rising and noodles market all over the world. This affects the pasta and noodles market across the globe. The number of people working all over the globe is on the rise. This stimulates the preference of instant food among those working professionals. This augers the demand in global pasta and noodles market in the span of forthcoming years. The global pasta and noodles market is expected to be majorly spread across Europe, Asia Pacific, North America, Middle East and Africa, and Latin America. Out of these, Asia Pacific emerged as a key region leading the global pasta and noodles market, and likely to remain so in future as well. Owing to advent of several economies, which have noodles and pasta as their staple dish, fuels the market development. In Asia Pacific region there are several nations which consume noodles and pasta on regular basis. Among them, China dominates the regional market for pasta and noodles because of big consume base of noodles. This regional market is foreseen to sustain its leading position in the global pasta and noodles market in the upcoming years. moreover, the global market is estimated to be highly fragmented due to advent of several firms across the world. Since pasta and noodles is the staple food in a number of countries, such as Japan, North Korea, South Korea, and China, its consumption has always been on the higher side. Various European nations also consume pasta and noodles on a daily basis, supporting the demand for it, which, in turn, reflect greatly on the global pasta and noodles market. 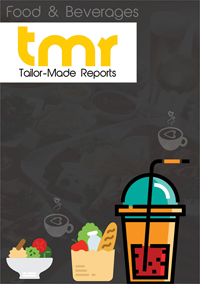 This market study is a methodical research of the performance of the global market for pasta and noodles in past and during the period from 2017 to 2025. The research especially emphasize on the driving forces, growth barriers, challenges, opportunities, and the prominent trends in this market in order to determine its future status. The global market for pasta and noodles is benefiting substantially from the frequent introduction of a wide array of new products and the rising trend of instant food for working professionals. With the increasing number of working professionals across the world, the demand for instant food has increased, significantly, as the consumers rarely wants to devote time for cooking food, which is why the demand for instant pasta and noodles is augmenting, leading to a remarkable rise in this market. The global pasta and noodles market can mainly be analyzed on the basis of the product. Ambient pasta and noodles, chilled pasta and noodles, and dried pasta and noodles are considered as the key products available in this market. Among these, the ambient pasta and noodles segment has acquired the lead, thanks to the availability of a wide array of products, varying in terms of flavors and tastes. Apart from this, several factors, such as longer shelf life and convenience of cooking and consuming, are also boosting the growth of this market segment. The worldwide market for pasta and noodles is considered to be predominantly spread across North America, Asia Pacific, Europe, Latin America, and the Middle East and Africa. Among these, Asia Pacific has surfaced as the leading regional market for pasta and noodles and the researchers anticipate this regional market to remain doming over the next few years on account of the presence of various economies, where noodles is the staple food. China lead the Asia Pacific market for pasta and noodles due to its large noodles consumer base. This domestic market is projected to continue on the topmost position in Asia Pacific over the forthcoming years. The global market for pasta and noodles demonstrates a highly competitive and fragmented business structure, owing to the presence of a large pool of international as well as local participants. Some of the leading players in this market are Delverde, The Kraft Heinz Co., ITC, Barilla Group, and Nestlé. These players are taking up a number of strategies, such as introducing new products and expanding to new regions, in order to increase the reach of their products and strengthen their presence in this market.